Holy moly! What a finale! One and a half hours “Agents of Shield” at it’s finest. Wow. I am still flashed – *haha* see what I did there? I don’t even know where to start. So many things happened. So this episode – ok the two episodes – begin with Syke’s mum pretending she was shot and of course Skye believes her. I mean, it’s her mum – who turns out to be full of anger and hell bound on revenge, and maybe a little bit crazy. Skye believes her mother that S.H.I.E.L.D. attacks the Inhumans and as a result she uses her power against May; that wasn’t easy to watch, by the way. So it takes her a while to realize what is really going on and to my suprise Raina plays a key role in that. Which ultimately costs her life – she dies to save Syke, and show the real Jiaying. Her plan is it to use the crystals on the ship and kill or turn all the S.H.I.E.L.D. agents on board. Since all the other Inhumans believe her leader that S.H.I.E.L.D. attacked them they are with her to start a war. 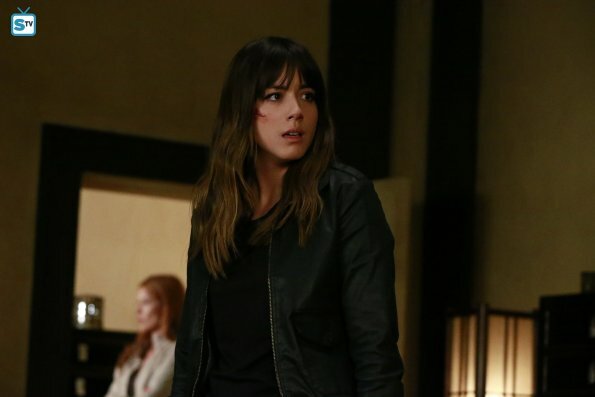 While Skye is still trying to figure out who’s side she’s on, things are getting intense on S.H.I.E.L.D.’s side. 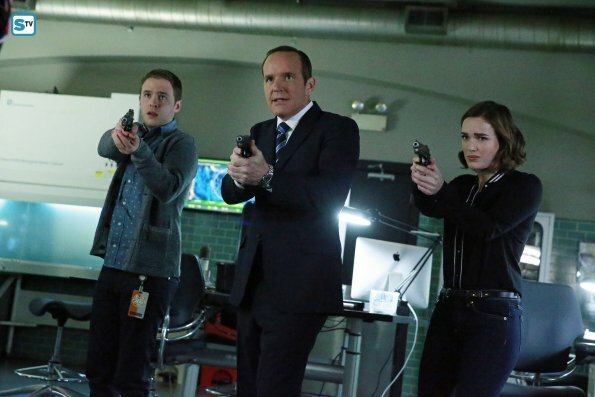 While Hunter and May are on their mission to find Bobbi, Coulson and FitzSimmons have another problem to deal with: Skye’s father. The peace offering isn’t as peaceful as it looks. Actually, it’s quite the opposite. He causes a lot of trouble because he took a serum (that makes him really strong and angry – sounds a little bit like the Hulk to me) to take as many agents down as he can. It takes more than a van to stop him, and a lot of talking. He does love talking, doesn’t he. Coulson manages to show him that his wife is the monster, not him, and that she has manipulated him for years. Cal is now on board with stopping his wife and saving his daughter. And in the end he did. He saves Skye before her own mother could kill her with her powers – them being Jiaying basically feeding off other people, taking away their life, helping her regenerate. Cal ends up having to kill his wife to stop her; but in the end, he doesn’t even remember any of it, because S.H.I.E.L.D., instead of imprisoning him, let him go through T.A.H.I.T.I. and erased all of his memories. He goes to open a vet clinic somewhere, and seems to be rather content with his life; he doesn’t recognize Skye, though, who comes to visit him. Agents of S.H.I.E.L.D. Episode 2×21&22 get an Outstanding – because it was mindblowling! 1. Skye’s Mum killed Raina and just went bat sh*t crazy. And I liked her once. It’s almost funny how she turned out to be the evil parent and Syke’s father is kinda good… Poor Skye, though. She just got her parents back and now she’s lost them forever. 2. 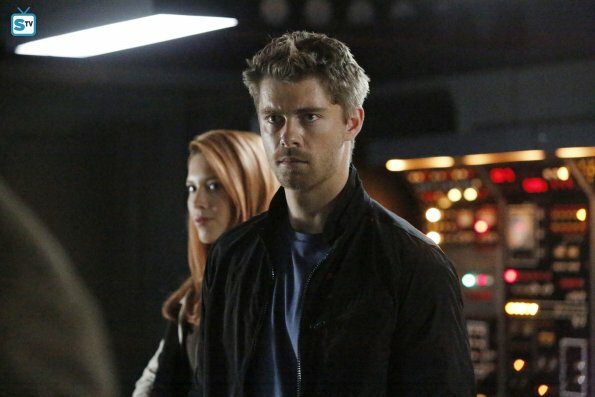 Ward tortured Bobbi and killed Agent 33 by accident. I remember Season 1 when he was good or at least seemed to be a good guy; I really liked him back then. But after this?! How could he? Admittedly, I felt a little bit sorry for him when Agent 33 died because of him. But just a little. 3. Coulson lost his hand while saving the cristal! Just, what?! I am still shocked. How are they going to handle this? Does he get a new hand? 5. The last seconds! This stone – or whatever it is – is just creepy. And what the hell happened to Jemma? She just vanished inside it?! What does this mean? Is she dead (I don’t think so)? Or inhuman as well? So many questions and I need answers now! How could the writers do this to us after just as FitzSimmons is finally coming back! I ship Fitzsimmons HARD and they are my favorite characters. I screamed out loud when she got sucked in that stuff. I can’t wait to see where it goes from here though.